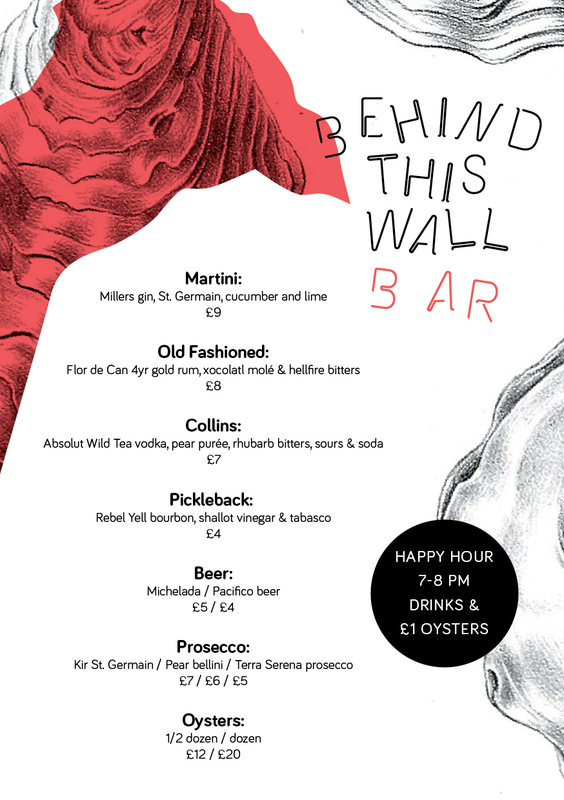 Behind This Wall is a project at F Cooke in Broadway Market, from Kitty and Alex whose background is based around 'good records and good drinks'. They have put on a pop-up vinyl market, hold a residency at Plastic People and are now focused on running the bar. Happy Hour is from 7pm - 8pm, and people in the bar can help select the vinyl that get played. "For a limited period this summer Behind This Wall will be opening a pop-up cocktail and oyster bar in the heart of London’s Broadway Market. Offering a unique take on classic drinks, our mixologists have cultivated a series of recipes that combine traditional methods with exciting new ingredients. Records will be selected by both our residents and the odd special guest; spinning on one deck."